I have confessed my love for trains time and time again. Add design and art to the train mix and I am in heaven. 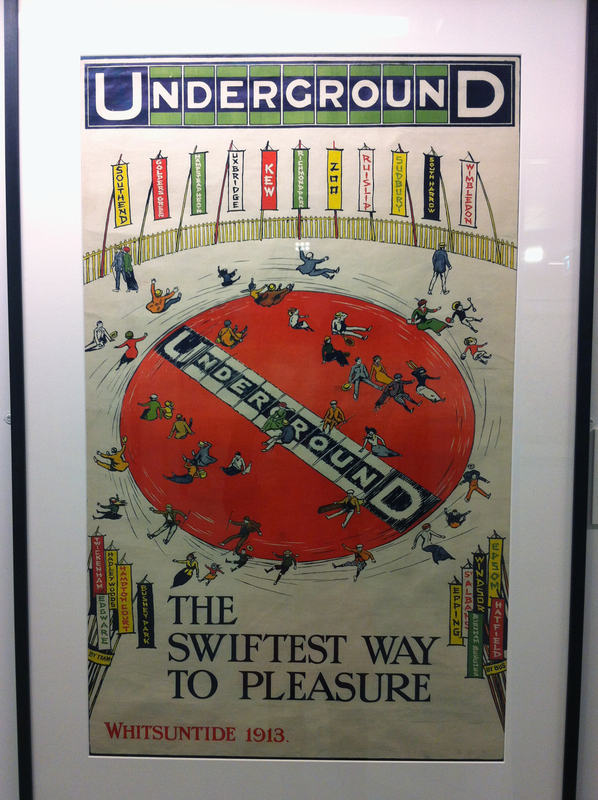 Thankfully 150 of the best London Underground posters are currently on display at the London Transport Museum to celebrate the Tube’s 150th birthday. 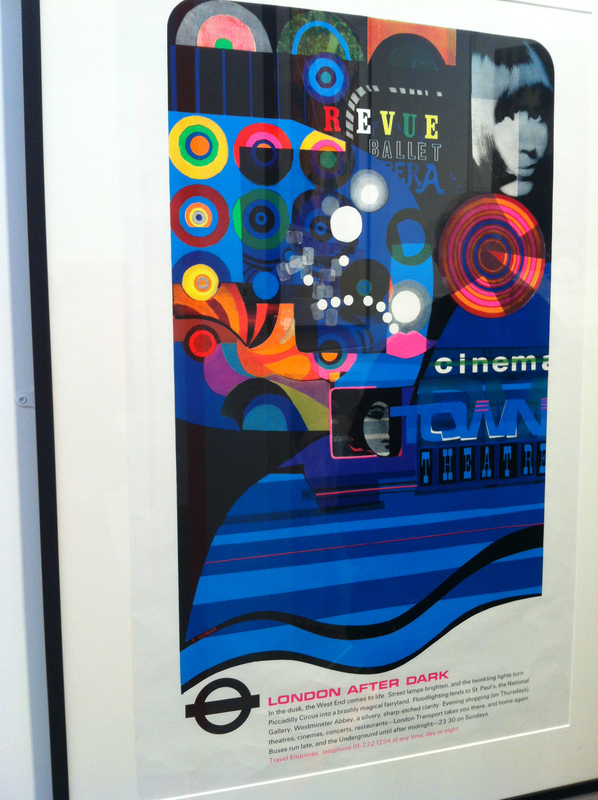 The posters are set over three levels in the museum, in a rabbit warren of an exhibition space. But the colours, the type and the clear messages just leap off the walls. When such famous artists lend their creative juices to a flat piece of paper the only thing to do is wander round in awe. 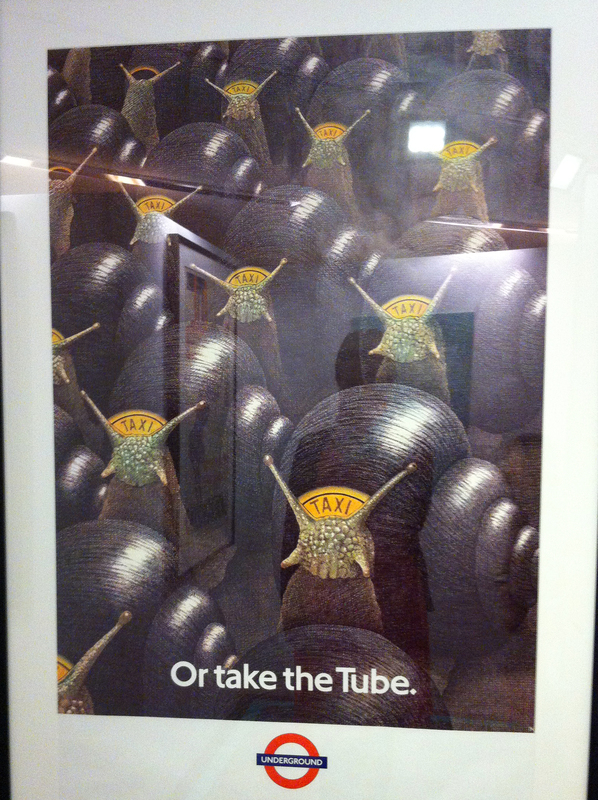 The best part is that when you buy a normal ticket to the London Transport Museum it lasts for a year – which means that this exhibition is FREE if you have been recently! 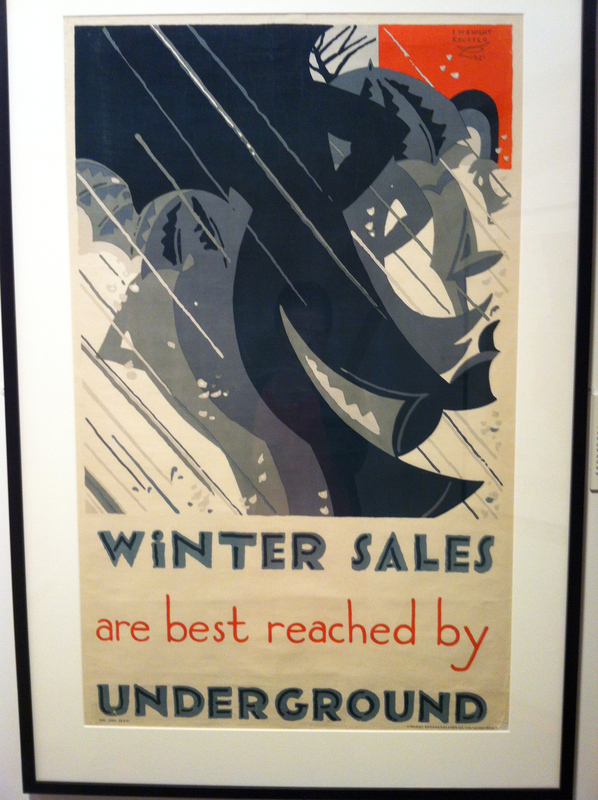 Winter Sales (1921) Edward McKnight Kauffer – I like that although shopping/sales are associated with bright eye catching colour, this poster focusses on the grey winter weather and uses the orange as an almost afterthought. 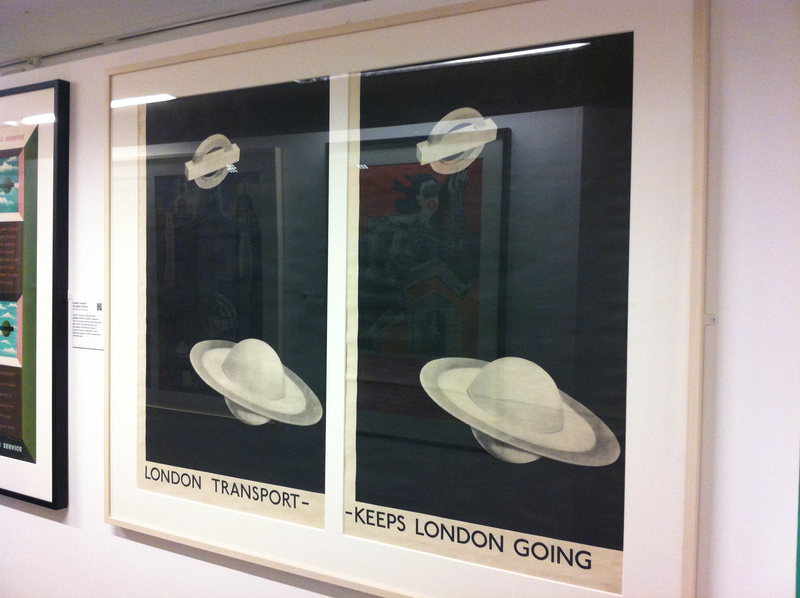 London Transport – Keeps London Going (1938) by Man Ray – I could like these posters because they are now worth over £100,000, but mostly I like them because they were created when Saturn had just been discovered and they have the audacity to compare Saturn to the roundel (the red circle with blue line through it) showing that the Underground is new and exciting. The Swiftest Way to Pleasure (1913) by Charles Sharland – Do you think Sharland was innocently using the phrase ‘the swiftest way to pleasure’ ? 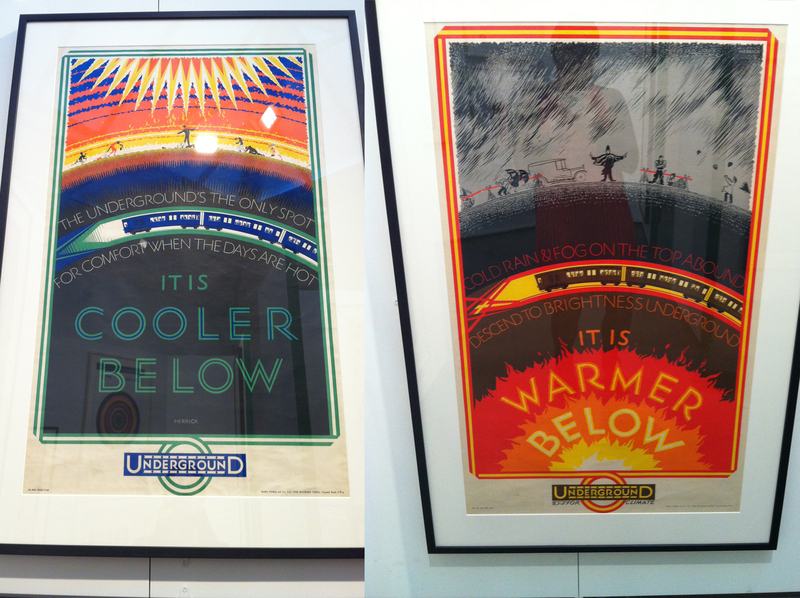 It is cooler below (1926) and It is warmer below (1927) by Frederick Charles Herrick – Something for every occasion.